In this instalment I shall attempt to follow the timelines of the remaining four diesel locomotives and the steam locomotive that have operated at the Bridgend Royal Ordnance Factory. The main Bridgend depot is referred to here as Tremains (also known as Waterton) to differentiate from the Brackla Hill depot. 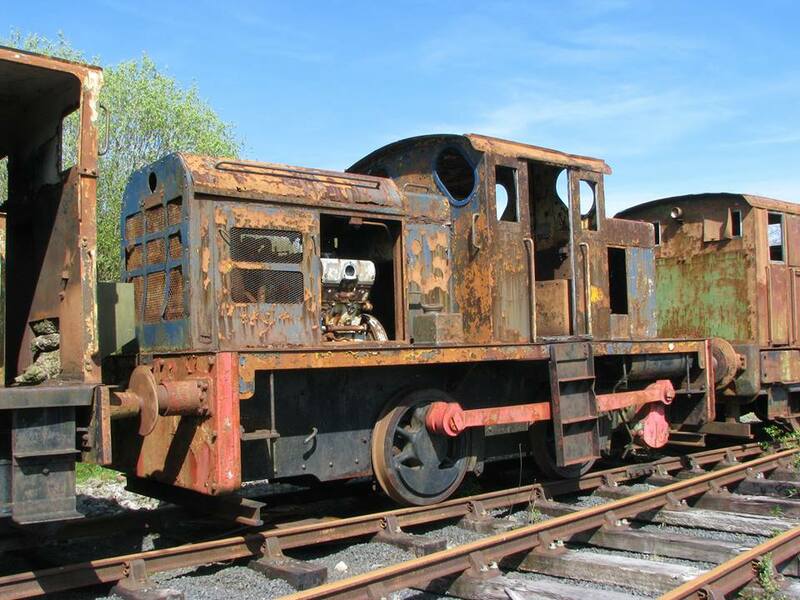 The 0-4-0DM (diesel mechanical) jackshaft-drive diesel locomotives were all of the same design and built by John Fowler of Leeds with a mid-cab body and 150hp Fowler 4C power units. The 0-4-0ST (saddle tank) oil-fired steam locomotive was built by Peckett & Sons of Bristol and presumably shunted wagons in the three miles of sidings alongside the main railway line. Nearly all the locomotives were identified with a plate and number reading “ROF BRIDGEND No 1” etc. The exception seems to be the last two Fowlers that were supplied where one was simply numbered 9 and the other without a number. I shall compile the second half of this list in order that it is given in the IRS handbook for Mid & South Glamorgan, which is the order of acquisition by the ROF. I have included interesting links to photographs on other sites, please respect the copyright of these images and do not copy and redistribute them. 0-4-0DM built by John Fowler & Co Ltd of Leeds dated 15th August 1940, works number 22917, delivered new and operated at the Tremains Depot. In 1948 it was sold to English Clays, Lovering Pochin & Co Ltd at Marsh Mills Drying Works, Plympton, Devon, and worked there until withdrawn in 1957. In 1964 there was a move to E L Pitt & Co (Coventry) Ltd, Brackley, Northants and was later advertised by them in Machinery Market in August 1966 as being dismantled for spares, subsequently scrapped soon after. 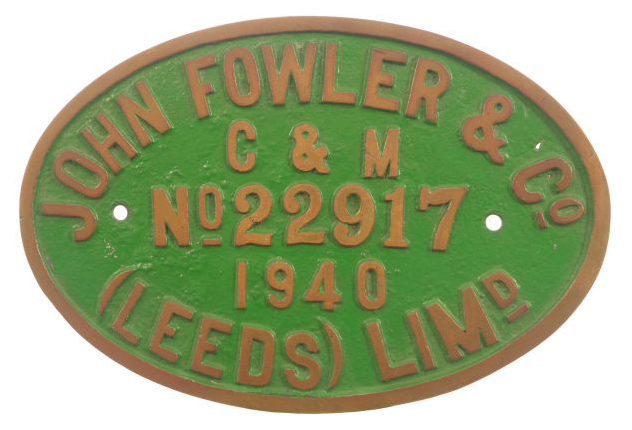 The works plate survives at an unknown location after being sold at auction in 2014 for £80. 0-4-0DM built by John Fowler & Co Ltd of Leeds dated 7th January 1941, works number 22933, delivered new and operated at the Tremains Depot. 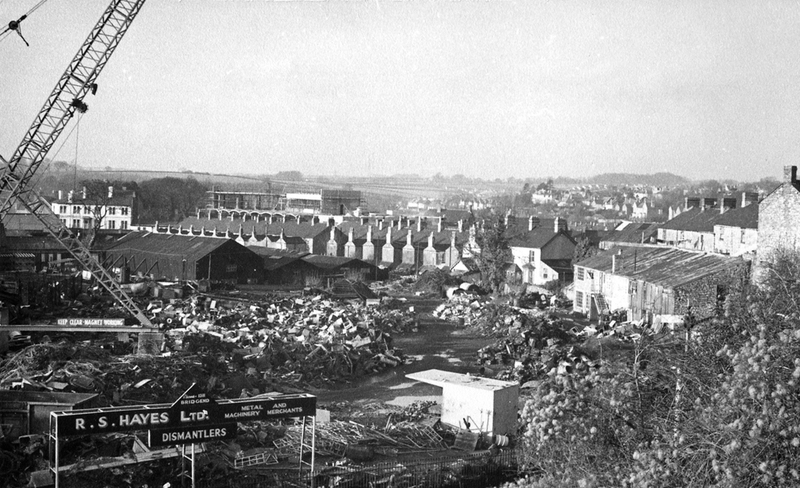 In 1946 The Bridgend Trading Estate was established on the Former ROF Tremains site and the loco transferred with ownership to them and worked until 1960. Advertised for sale in Machinery Market in June 1960 (along with Peckett 2040; see next entry) the loco subsequently went in May 1961 to the local scrap dealers R S Hayes Ltd (who also were occasional dealers in industrial locomotives) and may have been used on yard duties at their Brackla Street site as she survived until scrapped there in 1967. Oil-fired 0-4-0ST built by Peckett & Son of Bristol dated 21st January 1943, one of their W7 class, works number 2040, delivered new and operated at the Tremains depot. In 1946 the Bridgend Trading Estate was established on the Former ROF Tremains site and the loco transferred with ownership to them and subsequently worked until 1960. Advertised in Machinery Market of 9th June 1960, there has been no further trace of this locomotive. Identified by just a number, 9, 0-4-0DM built by John Fowler & Co Ltd of Leeds dated 18th December 1941, works number 22950. Delivered new to ROF Elstow in Bedfordshire she arrived at Bridgend in (October) 1943 and was based at the Brackla Hill Depot. In 1962 after closure of Brackla Hill the loco went to Steel Supply Co (Western) Ltd, Jersey Marine and by 1963 was being used as a hire loco at a few locations including Elba Tinplate Works, near Swansea and R S Tyley & Co Ltd of Barry Docks. By October 1966 22950 was with J O Williams & Co Ltd at Wern Tarw Timber Yard, near Pencoed, Bridgend and remained in service there until cut up in September 1976. 0-4-0DM built by John Fowler & Co Ltd of Leeds dated 15th April 1943, works number 22999, delivered new to Tremains Depot. There is an anomaly in the IRS handbooks here as this loco is shown in the Mid & South Glamorgan volume as new to Bridgend in 1943 but by June of that year had been transferred to ROF Eastriggs Depot in Dumfries-shire. However, the Scotland volume indicates the loco was new to Eastriggs. It is probable the information in the M & S Glamorgan volume is correct as this was published in 2007, more than three decades after the Scotland volume of 1976. In 1962 this loco moved from Eastriggs to MOD Bicester Workshops, Arncott, Oxfordshire where she became WD 8309. In August 1966 22999 returned to Scotland to James N Connell Ltd, Lanarkshire for scrap, but not cut up until some time after April 1971. Although the build date is shown as April 1943 there is no record of when it arrived at Bridgend. It is possible that this locomotive never worked here only being on site for a short period before leaving in June 1943. There will be one further sequel to this story where I will feature more of Christopher Cairns’ photos of the surviving locomotive ROF BRIDGEND No 2. Thanks again Mike, good reading.